Anyway, finished Prey. Took me nearly 30 hours. This game was surprisingly hard on Hard; I had gotten used to having no trouble playing first-person shooters on hard. Too bad a lot of the difficulty came from having weak weapons/bullet-sponge enemies and not that many bullets. Now of course their intention is to encourage the player to explore other options; there are several ways to play this game, including avoiding combat, but have I become better as a player if later on I can kill the same enemies with ease for no other reason but by having boosted my character's stats? It's an illusion of skill, like in the old Final Fantasy games. I also got a heayv Bioshock vibe off Prey with the incredible amount of everything in the game. You've got a ton of human abilities, alien abilities, various suit mods, you can loot everywhere and recycle the loot into items, sidequests pop up every minute or so, there are weapon upgrades, there's hacking, etc. It can get a bit overwhelming and in general the game feels a bit cluttered and noisy at times. The game has really cool spacewalk sections. You can go outside the station from various locations and it can get really disorienting because of the relativity of stuff like directions in space (how do you define "up" or "down" in a vacuum with no center? ); you can easily orient yourself sideways (or upside down) and navigate the exteriors that way. The game has an interesting story (even if it can get a bit confusing with all the million emails, audio logs and characters you meet) and your choices have interesting consequences; this game makes you think a lot. Good voice acting too, but intentionally ugly character models (which seems to be Arkane's way of doing things). I just wish there were more opportunities to enjoy the station's atmosphere. Even in Isolation you can do that perfectly well even when the alien is relentlessly hunting you, but in Prey there's just too much stuff going on all the time. but have I become better as a player if later on I can kill the same enemies with ease for no other reason but by having boosted my character's stats? It's an illusion of skill, like in the old Final Fantasy games. This is part of my problem with a lot of action games these days, the gameplay itself doesn't evolve or change at all you just get 'better' through being more powerful in-game. It's why I've loved the Dark Souls series so much; you can level up and beat everything that way....but if you're good enough you can beat the game naked with your fists. Prey should be up my alley anyways but something about it just puts me off. It might be the enemies or the art style, I'm not sure. Was about to uninstall the first Deux Ex but then I thought if there might be any good single-player mods for this, you know, mods featuring a new story and new levels. So, any recommendations? Preferably nothing that changes the gameplay mechanics too much. It might be the enemies or the art style, I'm not sure. Oh yeah, the Arkane artist for the game (and Dishonored) seems to have an affinity for ugly, grotesque people. Been playing Quake Champions pretty much every day but only about two quick matches at a time. I'm starting to really enjoy this game; the "champions" with their particular stats and abilities give the tired-old deathmatch some much-needed variety and fun without really changing the fundamental gameplay (which still revolves around strafejumping, item control and LG/RL/RG). Noobs (such as myself) are still gonna get beaten badly but it's really rewarding once you start to feel like you're getting somewhere. Played Loke's Autonomy Lost HL mod. I enjoyed it; awesome design with big rooms and lovely texturing. I only despised the grunt (alien) encounters; either they were too far from you and easy (& tedious) to kill with the pistol or too close and annoying to fight against because of the bee projectiles that tend to ignore cover. Liked the impression of getting depeer into the facility but I probably would have started the thing topside, on the streets or something, just to break the monotony of the underground-facility setting. Was kinda missing the mp5 but when it was finally given before the last battle really made up for it. Took me 45 minutes. Thanks. 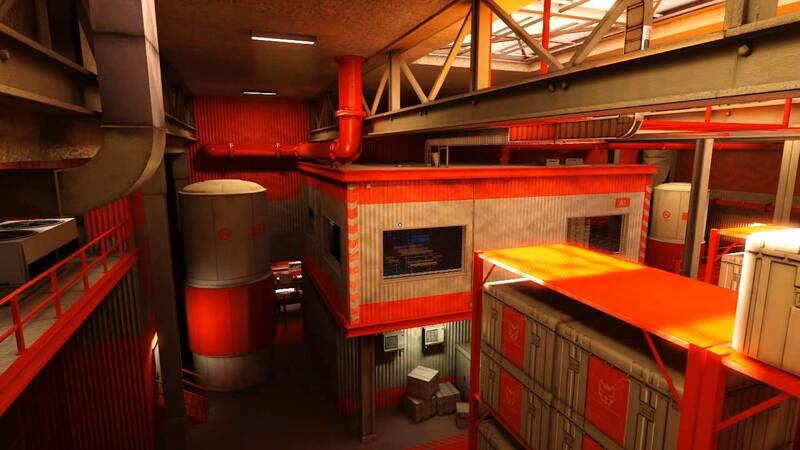 You can get the MP5 in the fourth map by the way. It's hidden behind a fence. You can get it either by hopping over the fence using the humvee or the hidden vent on the upper floor (prepare for some vent crawling). There's quite a few secrets people seemed to have missed. Some of them are obscure though. I tried to stay away a bit from the conventional way in which mods gives you weapons, e.g. pistol -> shotgun -> mp5 etc. That's why you can get the .357 so early (second one after the crowbar). The pot-shooting was my main gripe with the mod too. That's also why I mainly dislike the final map -- even though I'm pretty happy with the architecture the gameplay was kinda meh. Maybe I've become out of touch with HL, but is there any way to avoid the bee projectiles when fighting the first grunts if you intend to stay inside the container type of office (what are these called anyway?)? The bees always seemed to get to me through the floor or something. I'm not sure, those bee projectiles are so unpredictable. Sometimes they home in on you like crazy and sometimes they don't seem to care. I usually dash behind cover when the alien grunts fire, often crouching (not really sure that helps). It's kinda hard to avoid them in the small office though, it's easier if you have multiple rooms to run between. ...container type of office (what are these called anyway?)? Haha, no idea. I based the design on an area from the first Mirror's Edge game. Thought it looked cool so I decided to implement it into Autonomy Lost. You always do awesome stuff so i will make sure i find the time to test this thing out! Judging from the picture, that's Half Life 2 right? The lighting looks pretty good, although I can't judge the texture quality too easily there.